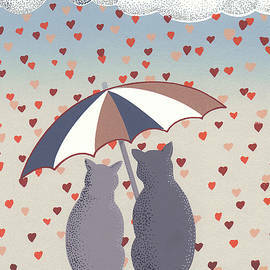 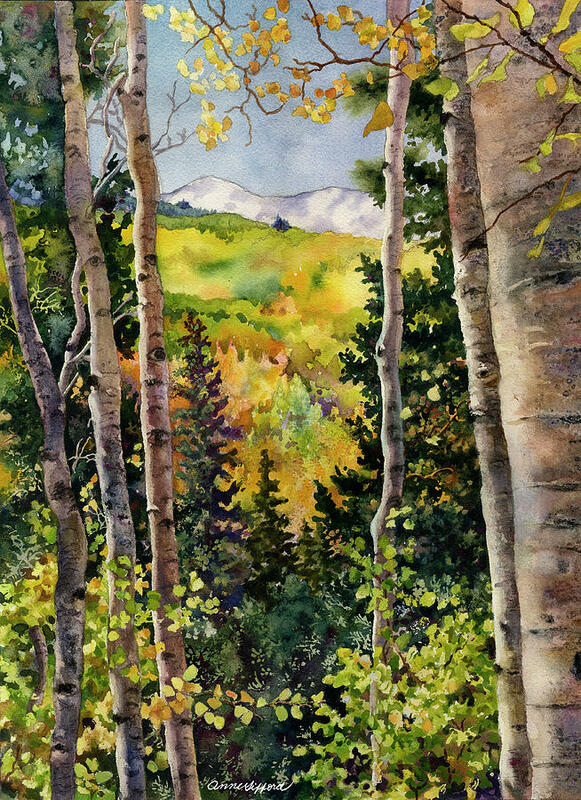 Anne began her career as a silkscreen artist. 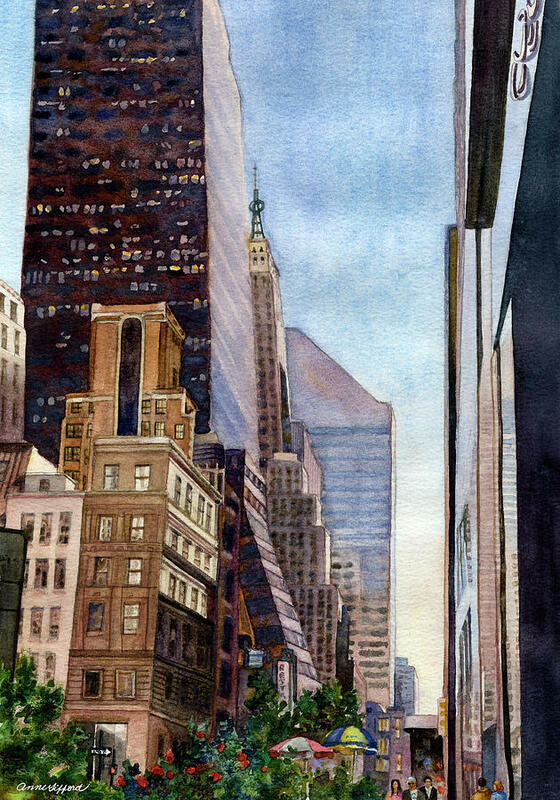 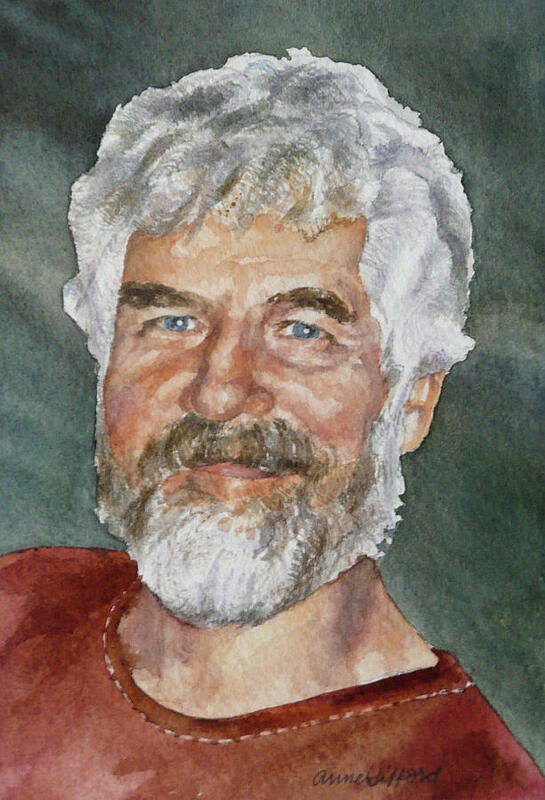 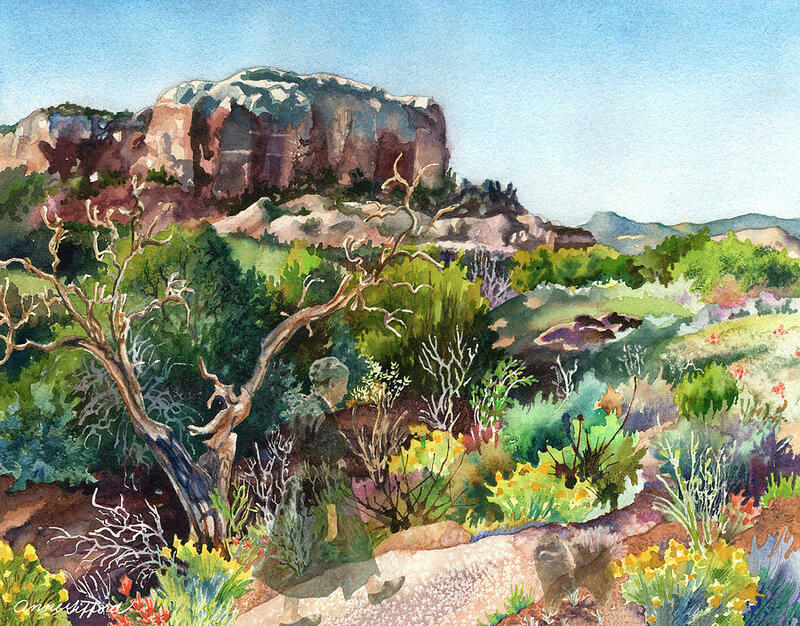 After 25 years of printmaking, she now works with watercolor where she builds successive layers of color to create her vibrant, rich, and detailed paintings. 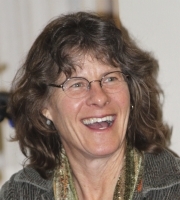 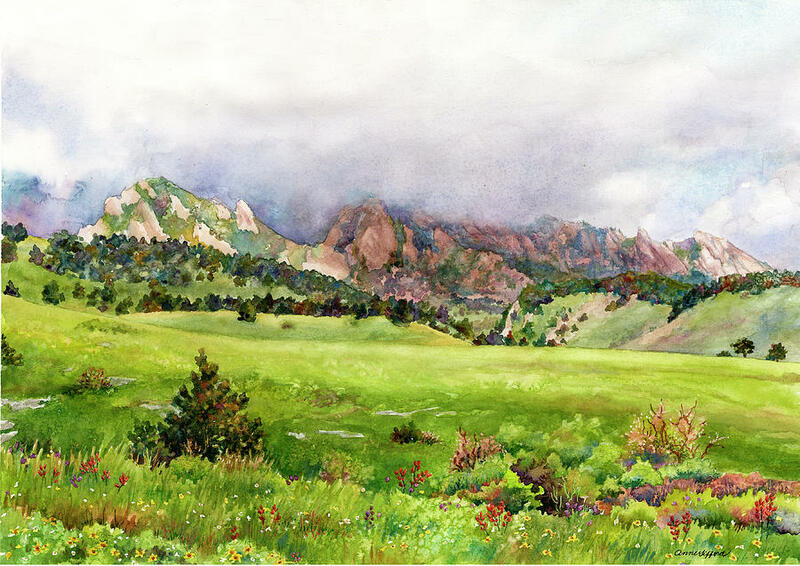 She has lived in Boulder since 1976 and finds inspiration in the natural beauty of Colorado. 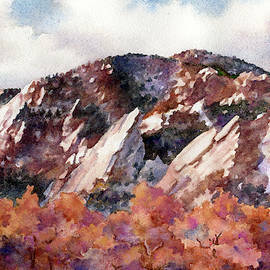 On her many walks and hikes throughout the area, Anne is always on the lookout for new imagery. 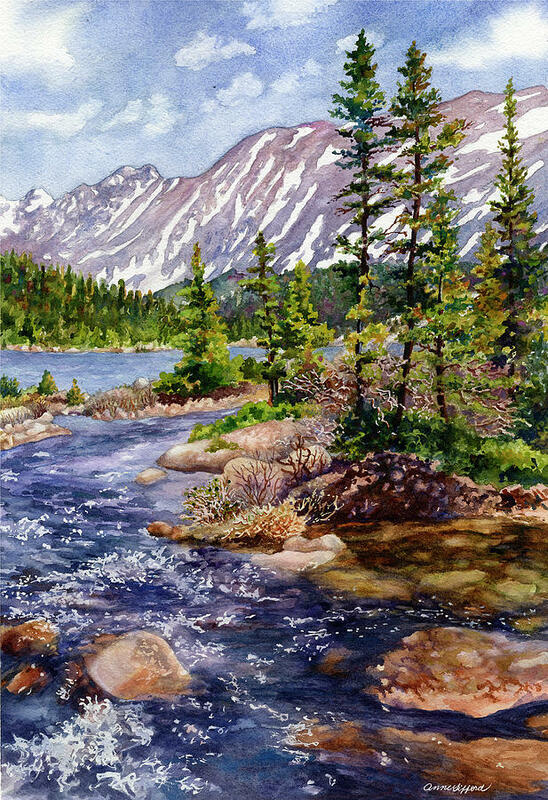 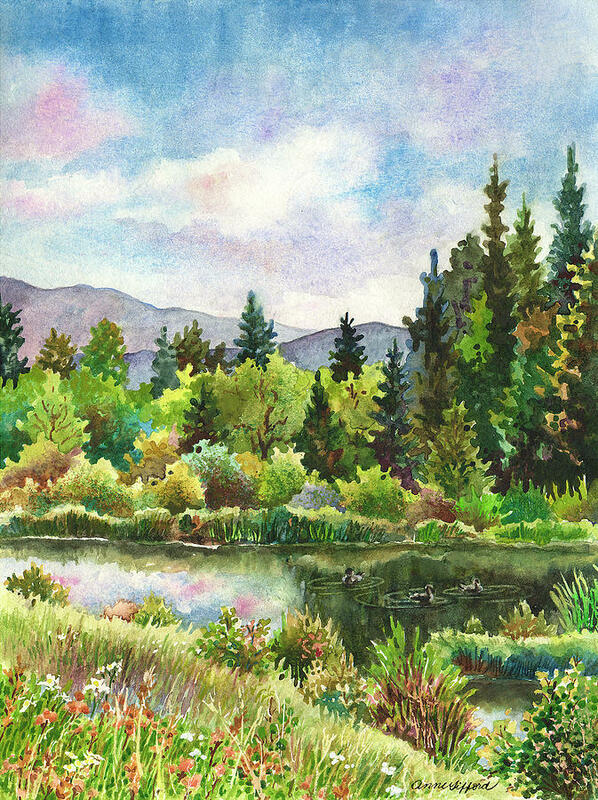 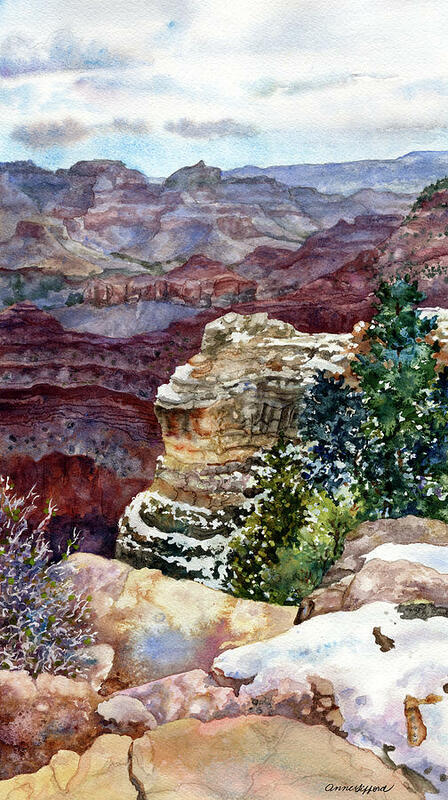 Light, shadows, rocks, water, mountains, canyons, wildlife and whimsy are all part of Anne�s subject matter and she brings her own unique vision to her work. 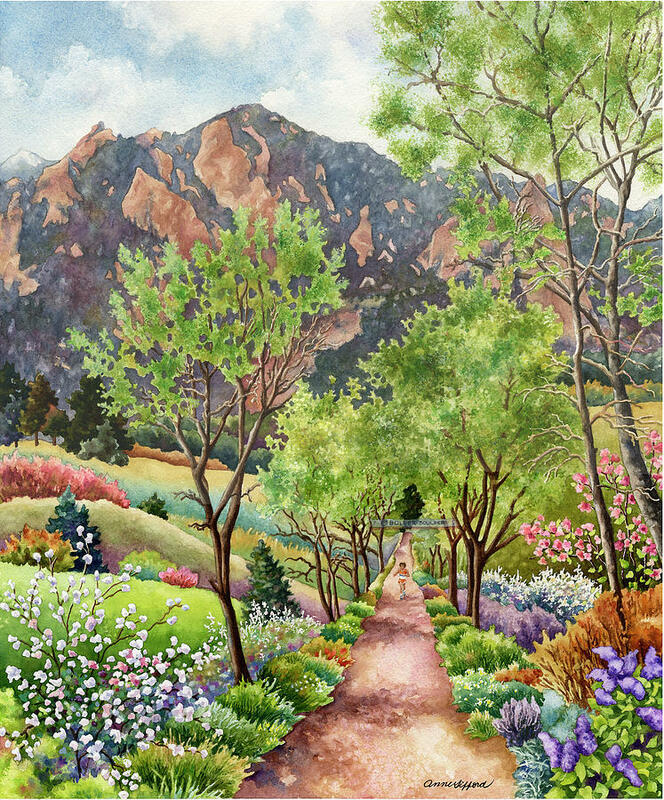 She is an award winning artist and the seven time poster artist for the Bolder Boulder 10K Memorial Day Race, one of the largest road races in the United States. 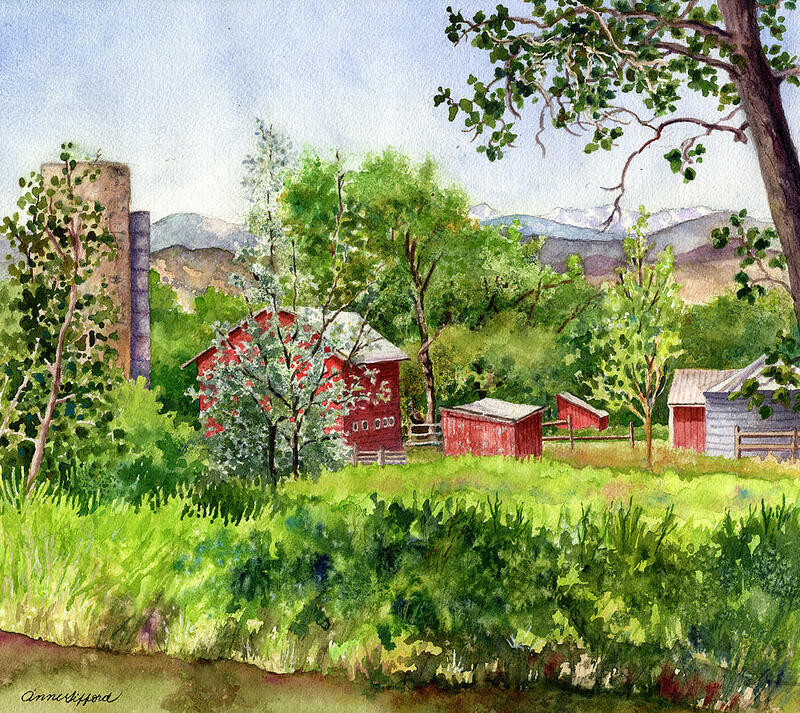 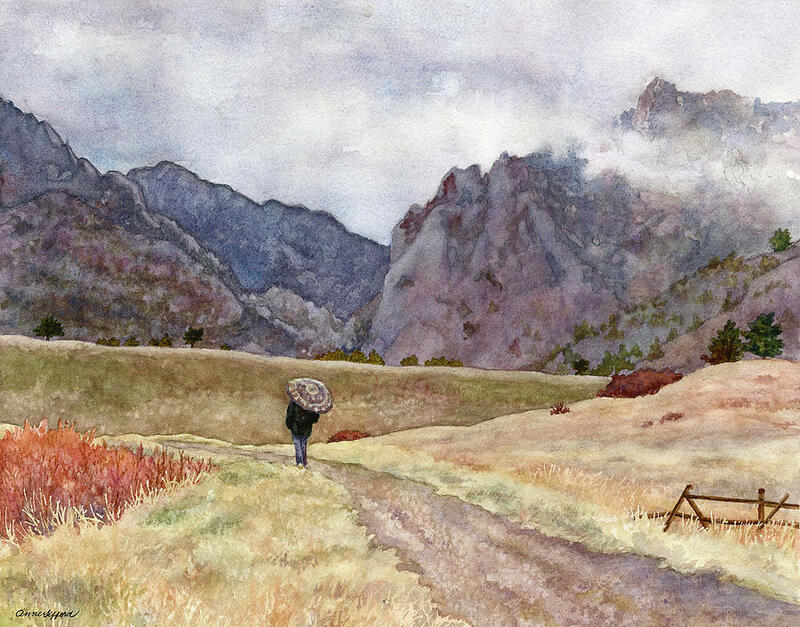 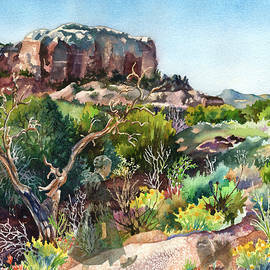 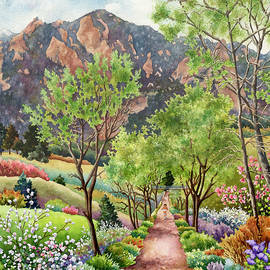 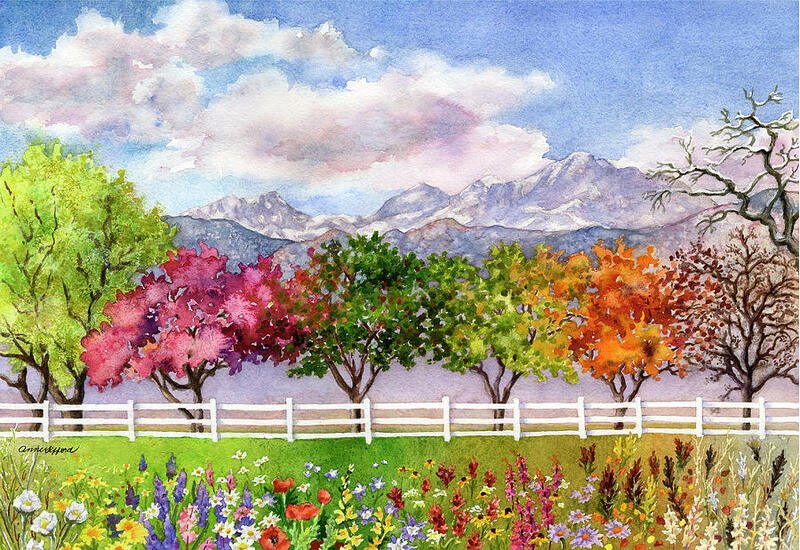 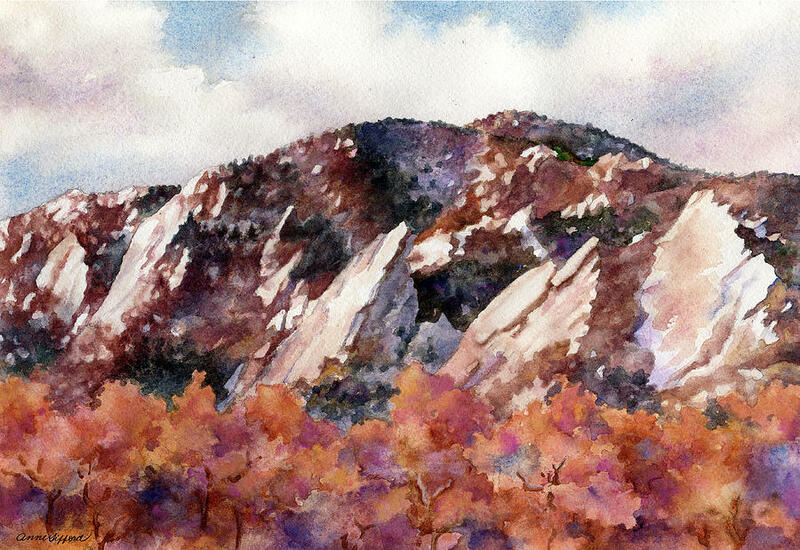 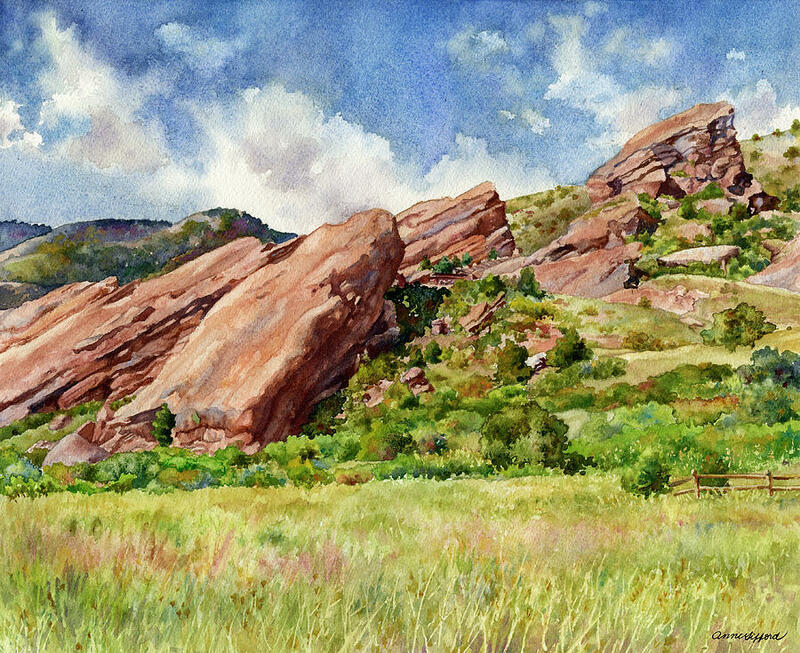 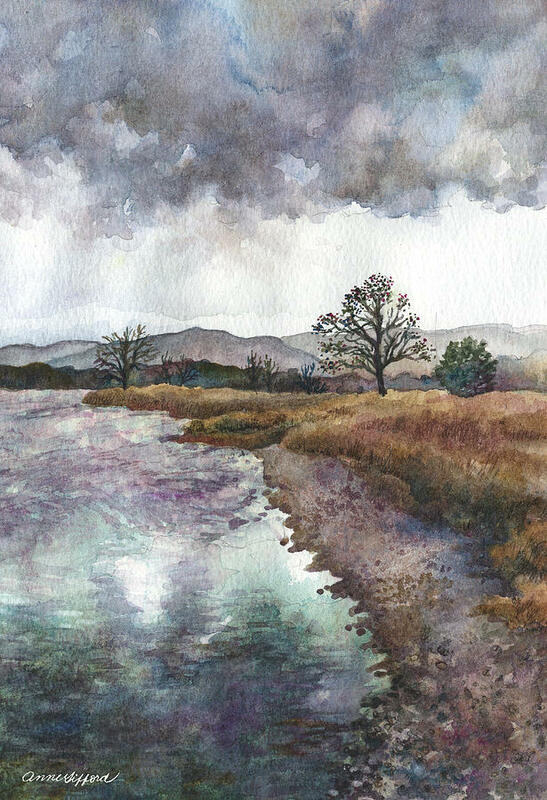 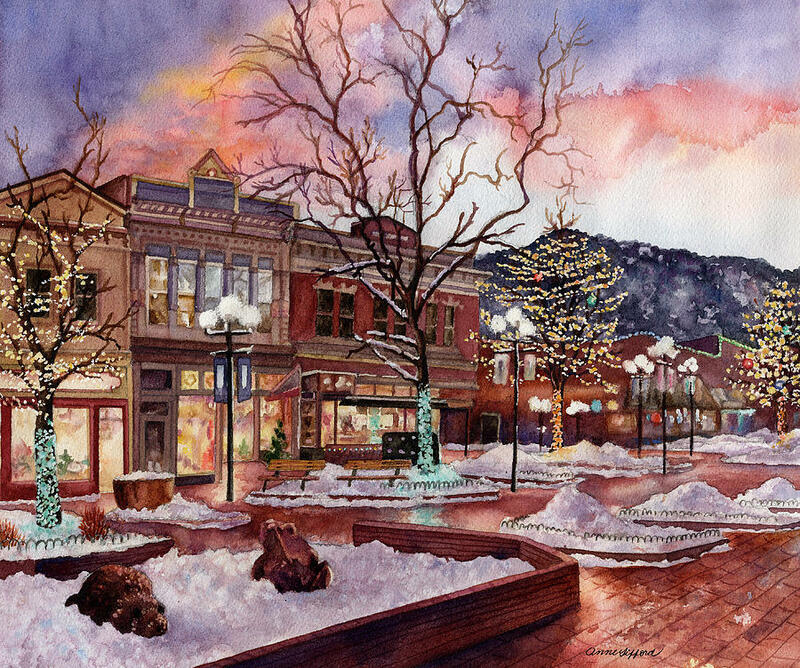 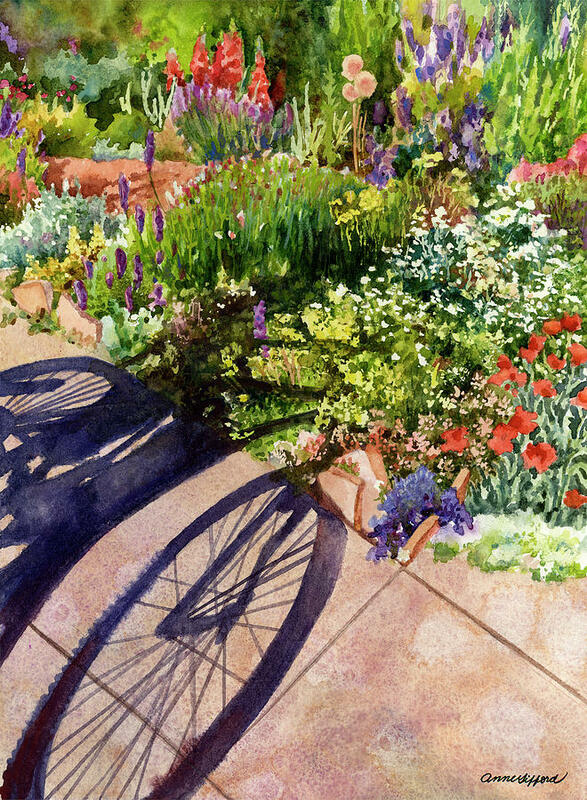 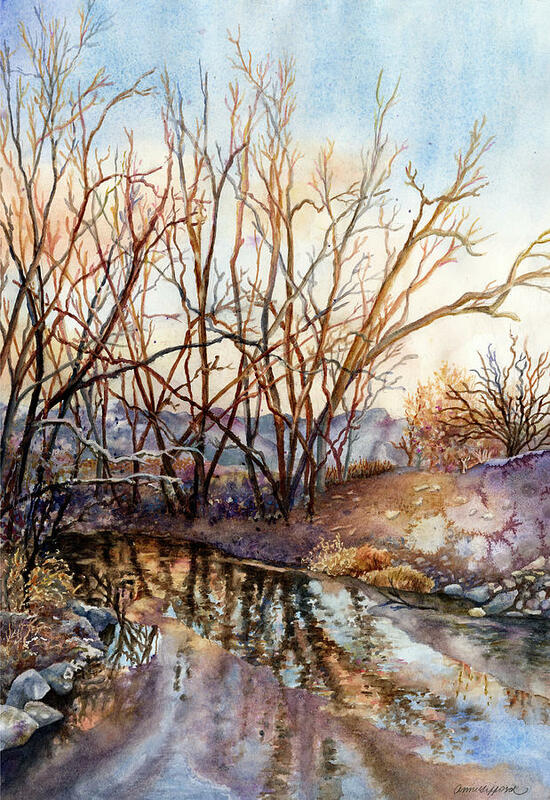 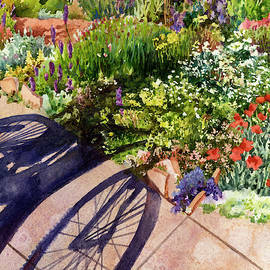 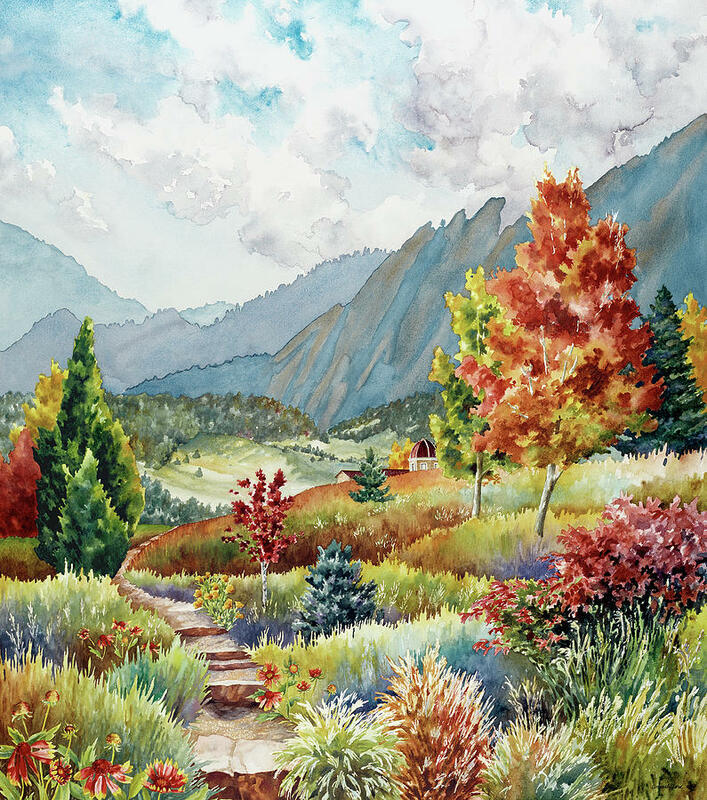 Her watercolor painting "Lilacs at Walker Ranch" was chosen in 2011 as the image to represent the 150th Anniversary of Boulder County. 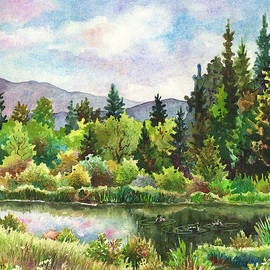 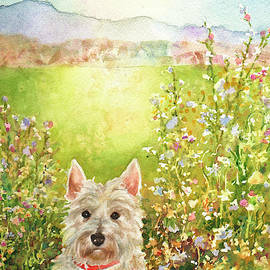 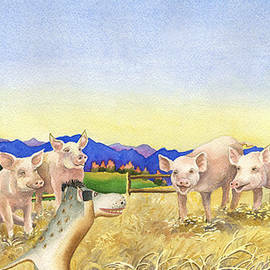 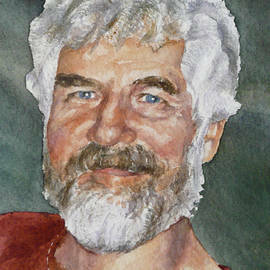 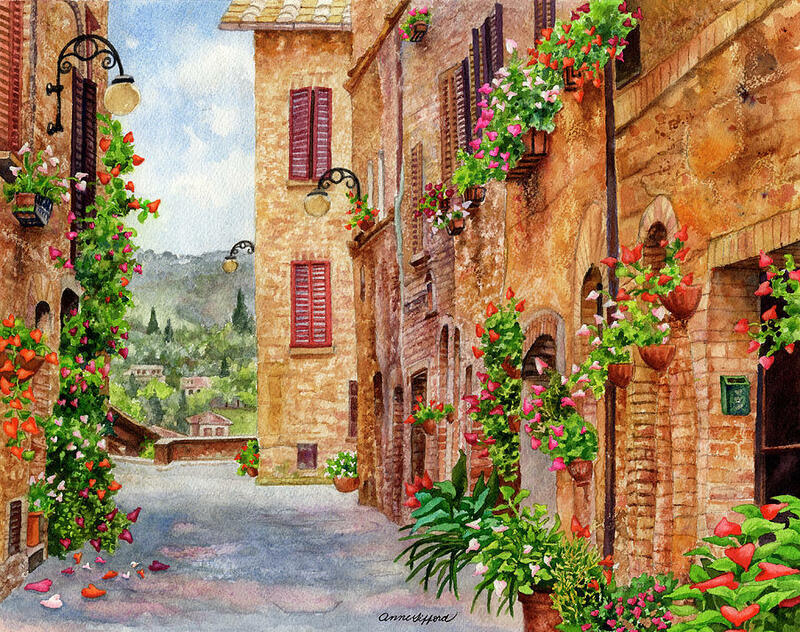 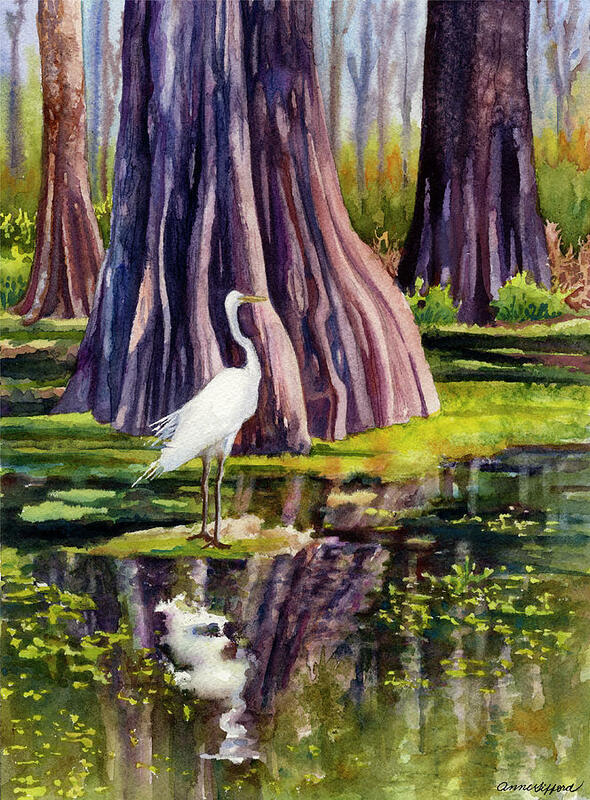 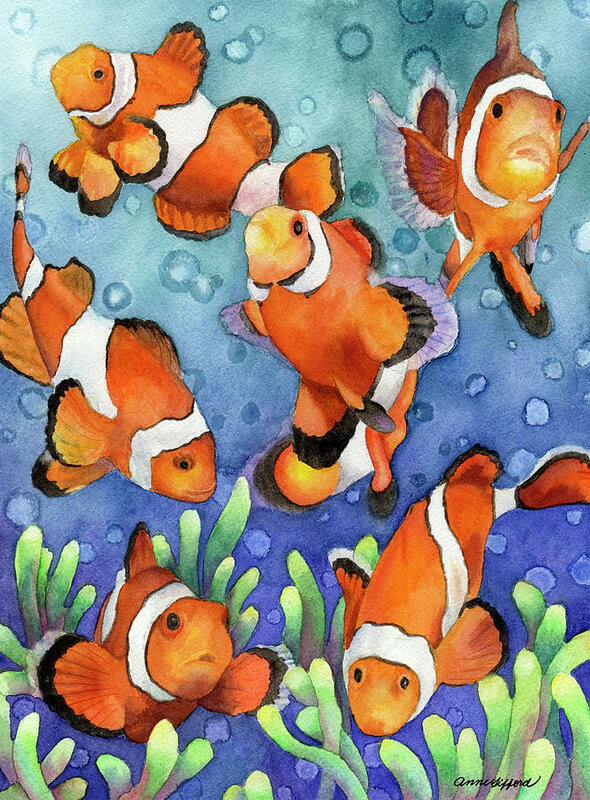 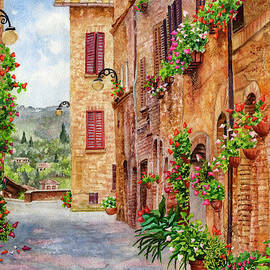 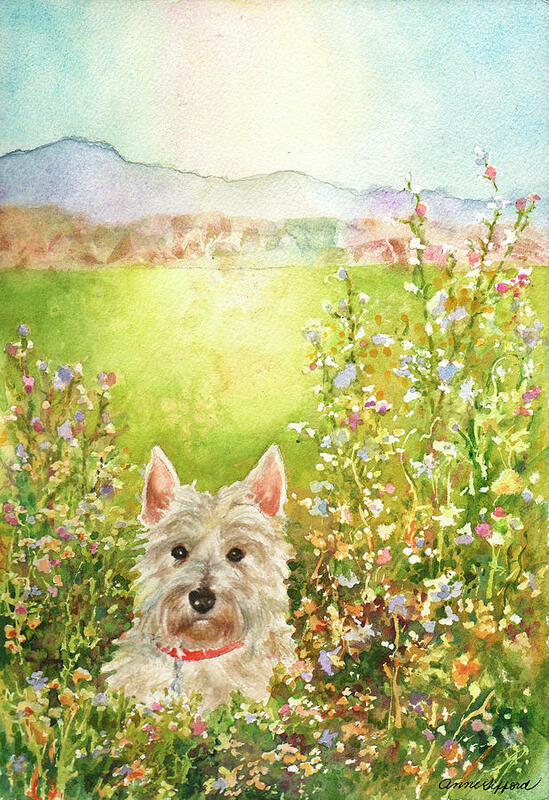 Anne additionally enjoys teaching watercolor classes to the elderly as well as playing her guitar and fiddle.